The roots of superstition go way back to primitive human tribes whose lives were fraught with dangers and where magical thinking was born. This is been translated into ‘high risk’ sports like football and rugby. It has been identified that most superstitions involve some sort of ritual action during the waiting period before the match in the dressing room, usually where pre-match tension is at its height. 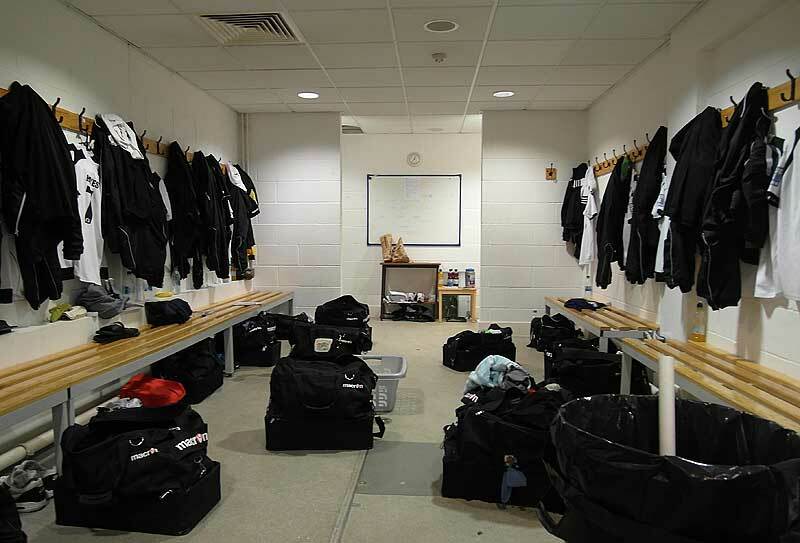 The Dressing Room pre-match – there’s not much at first glance to be gleaned from this haphazard-looking arrangement of belongings. There are all sorts of rituals noted in Desmond Morris’s book, including having to carry someone else’s bag, or a player having his wife present/absent depending on whether said presence or absence was ‘good luck’ on the previous occasion. Sometimes its the order that seats are taken on the coach or at a pre-match meal. Sometimes its lucky charms like cufflinks, a medallion or some lucky article of clothing. In the dressing room, things intensify. ‘Lucky’ items to be worn, socks, boots, laces, wedding ring are a feature, as is which peg is routinely used, or is a towel folded or hung on said peg. Some players must enter the dressing room in a certain way (through the boot room instead of the main door, for instance). Some players have to sit in the same corner, some must shake hands with the other team members. It can be about whether its the left or the right sock first, and it is noted that one player would wait dressed, except for his shorts, which he would leave until the Referee called the teams. The late Sir Bobby Moore was always the last person to put his shorts on. His team-mate Martin Peters used to wait until Bobby had put his on, then take his off, watching Bobby take his off again. Jack Charlton’s beliefs were so intense he even went to the length of refusing the captaincy of his club team because for him it was a ritual that he was always the last player on to the pitch, and as captain he would have had to lead his team out. The honour of captain went to Billy Bremner instead. This obsession of being last out can get out of hand. 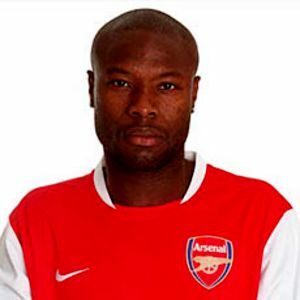 Several players, such as William Gallas of France, insist on being the last player out onto the pitch, and some have been known to sit in the loo until everyone else has left, to ensure this. Arsenal player Kolo Toure, once missed the start of the second half of a championship match, waiting for Gallas to go on field, so that he could himself be the last player to emerge. When Toure eventually took the field he did so without permission from the referee landing himself in hot water. He was shown a yellow card for his troubles. Not exactly a good omen. Other instances include Paul Ince who was always the last player on his team to run out onto the pitch, and the last to put on his shirt. Kevin Keegan, too, would put his shirt on last. When players are in the tunnel, there can be rituals about who is third in line etc, or turning round in a complete circle. Goalkeepers can be even more affected, kissing the goalposts, being precise about where he places his paraphernalia. must bounce the ball 3 times off the wall in the tunnel, and a whole lot more! I asked one team captain about this. I was not surprised to learn that most use the same peg in the dressing room, always listen to the same music pre-match, and that the captain always has to be first to set foot on the pitch before the other team’s captain and will make strenuous efforts so to do. Aston Villa goalkeeper Shay Given insists on placing a small bottle of holy water at the back of his goal, while former Irish/Celtic keeper Packie Bonner would carry some clay from County Donegal in his glove bag. John Terry admits he sits in the same seat on the team bus, listens to the same Usher CD and parks in the same spot at Stamford Bridge. At Stamford Bridge, John Terry has a standard urinal that he needs to use before going out onto the pitch. If that urinal is occupied, then Terry waits his turn. We wonder what he does on away games? He wore the same pair of shin-pads for ten whole years, before losing them after a Champions League tie against Barcelona. And he always ties a band three times on his socks. In all, he has about fifty superstitions. Rio Ferdinand pours water down his face in the tunnel before he enters the field and both he and his brother Anton jump over every white line every time one of them steps on the pitch area. David Beckham is rumoured to be obsessive, and especially fussy about how some items in his kit are arranged, especially the items in his fridge. And he requires an even number of Pepsi cans, so if there are three in the fridge, he will throw away one. Gary Neville, formerly of Manchester United, could write the book. His superstitions became so overwhelming that he had to try and lose some of them, so that he could lead a close-to-normal life. One of his superstitions is to not change his boots if his team’s on a winning run. He would also wear the same aftershave if results were favourable. Neville has confessed, himself, on having worn the same clothes, shoes and aftershaves for long periods. Eugh! He is also reported to keep playing in the same pair of boots throughout a scoring purple patch but will get a new pair as soon as he fails to score. Some players, particularly strikers, are not fans of shooting at the goal during the pre-match warm-up. Former Tottenham and England striker Gary Lineker is famous for refusing to “waste his goals” during the pre-match warm-ups. Cristiano Ronaldo has the same superstition, too. There are plenty of boot superstitions, too. Fernando Torres loves white leather boots, Tom Cleverly used to only wear white cleats, and Didier Drogba won’t change boots if he’s on a run of goals. Robin Van Persie has a thing about boots too. He favours the older adidas Predator adiPower, but has been known to swap to other models if there is a good luck association. He is also known to be a left-to-right dresser, often waiting until he’s left the dressing room before putting on his right boot. Yet more superstitions relate to stepping onto the field of play. 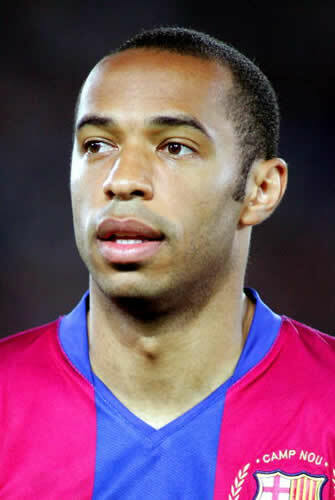 Thierry Henry would touch the ground and cross himself. As a player, Paul Gascoigne couldn’t relax unless his changing room towel was folded ‘just right’, but he once took his obsession with tidiness to potentially dangerous levels. While at Rangers, a drunk Gazza broke into team-mate Ally McCoist’s house at 2am to make himself a sandwich (as you do), but ended up rearranging McCoist’s cupboards. Not surprisingly, McCoist feared he was being burgled and went downstairs armed with a baseball bat, only to find Gazza perched on a chair trying to reach the upper shelves. “I told him I was just tidying his kitchen for him, which of course he couldn’t understand,” Gazza recalled. Gascoigne once told an interviewer that he was so superstitious about the number 13 that he couldn’t ever bear to see the numbers 4 and 9 together. Oddly, the combination of 5 and 8 was deemed OK. Seriously unhinged! In that case, how does he explain that he considers his white-hot form is due to an irrational superstition. Before every single game, the Premier League top scorer has been having his newly acquired $46,700 hair transplant cut by a barber whose surname is only one letter long?? There is no supernatural or mystical connection between the performance of rituals and the outcome of the game as long as the players strongly believe there is such a connection. If they can convince themselves that their strange actions will make them play better, then they will be less anxious and give themselves added self-confidence. You could say that your superstition is not telling anyone what your superstitions are! To sum up, the team with the greatest faith in their abilities is often the only thing that separates winners from losers in an otherwise well-balanced contest. The last word has to come from the late Alan Ball (member of the 1966 England World Cup Squad, Everton player and later soccer Manager) “I don’t believe in luck, but I believe you do need it”.